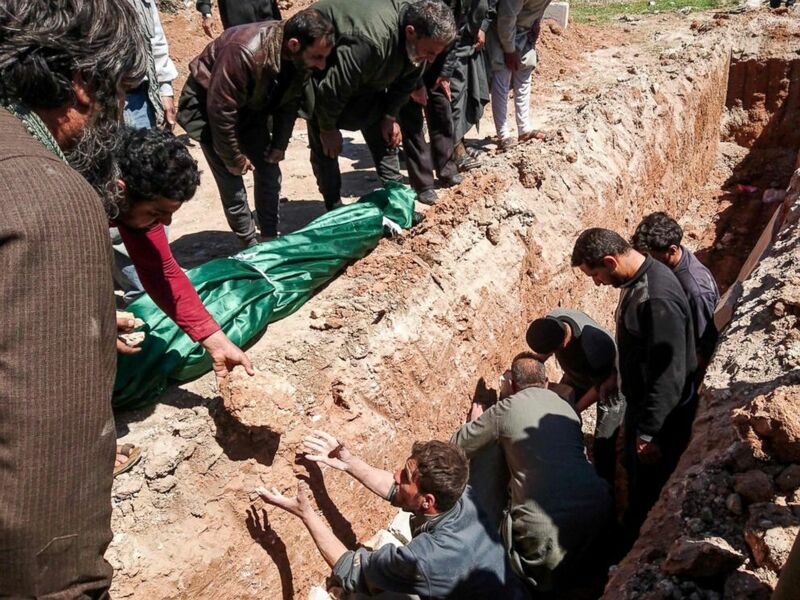 13/4/2018 - Syria’s seven-year war has completely devastated the country and created the worst humanitarian crisis of our lifetime. More than half of Syria's people have been killed or fled. Over 13 million people are in need of humanitarian assistance, while aid workers haven’t been able to deliver aid in many parts of the country due to the violence. It’s clear that foreign military involvement hasn’t made Syria a safer place. The desperation felt by Syrians for a long-term solution for peace is shared around the world. Our peace movement condemns the use of chemical gas attacks in Syria and is again heartbroken by the images reaching us on 7 April of another attack in Douma. Despite Syria’s ratification of the Chemical Weapons Convention (CWC), the supposed destruction of Syria’s chemical stockpile by the Organisation for the Prohibition of Chemical Weapons (OPCW) and UN Security Council resolutions, these weapons remain available – possibly to different actors - and have already been used several times this year. We support the OPCW's recent fact-finding mission to Douma as well as the call of civil society organisations for a UN mechanism of inquiry. Pax Christi International deeply believes that the possible air attacks by the U.S. and its allied countries shouldn’t be the response to this recent chemical weapons attack because they will cause further suffering of innocent Syrian civilians and could escalate into a wider conflict between countries. We fear that in these last days the war in Syria has reached a dangerous turning point with violence-inciting rhetoric and call upon world leaders to immediately stop any further military steps. It is our view that a fully inclusive and nonviolent political process through diplomacy and dialogue is the only way to end this brutal conflict. We strongly affirm Pope Francis's message in response to the latest chemical weapons attack in Douma in which he condemned the attack and stated that ‘there is not a good or a bad war, and nothing can justify such instruments that exterminate defenceless people and populations.’ He also asked us in his message to pray that the responsible politicians and military leaders choose another path: that of negotiations, the only one that can bring peace.